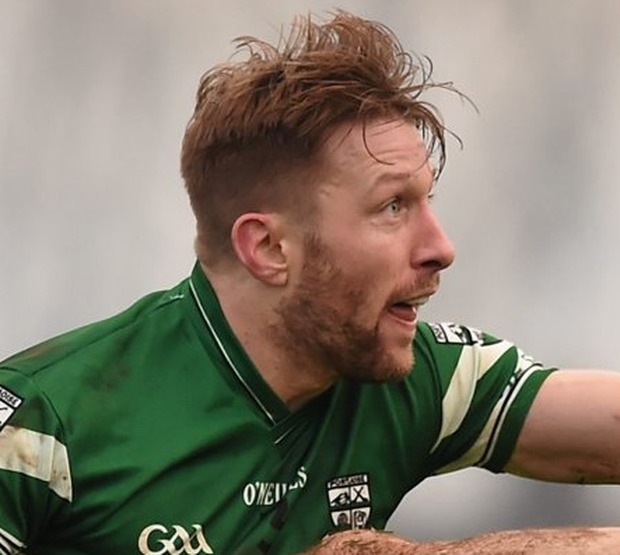 Cahir Healy’s competitive return to the Laois senior football fold may have to wait for at least a couple of weeks after the Portlaoise dual star suffered a knee injury in a challenge game against Kerry last weekend. The 32-year-old – who commutes back to Laois from London most weekends – opted out of Eddie Brennan’s hurling squad having switched his attention to football this season to link up with John Sugrue’s men. Healy, an all-action defender, had been expected to feature against Down in their Division 3 opener this Saturday night in Newry but it is understood that he has suffered medial ligament damage to his knee and is unlikely to play any part. One player who should be lining out, however, is Stephen Attride as the Killeshin defender has been named as O’Moore skipper for the third successive season with Damien O’Connor and Gareth Dillon acting as joint vice-captains. Meanwhile, Tyrone ace Darren McCurry has spoken of his “unfinished business” with the Red Hand set-up having departed Mickey Harte’s panel midway through the League last year citing increased work commitments. The Edendork attacker spent last summer in Chicago but was back to his best during Tyrone’s McKenna Cup final defeat of Armagh where he fired 0-9 in a match-winning display. “I went to America, of course I missed it, it was a really hard decision. I thought it was the right decision to get my head cleared and get that hunger back,” McCurry told the Irish News. “When you’re playing as long as I am and not getting a break, it’s tiring on the body and the mind. I felt going to America did that. I came home and went to the All-Ireland final to cheer the boys on. “I knew when I made that decision that Tyrone were going to get to the final. That’s how sure I was that I needed to get away. I knew there was an All-Ireland in that team. Elsewhere, All-Ireland-winning boss John O’Mahony is back in management having taken the role of senior football boss with Westmeath club The Downs. O’Mahony has had a glittering managerial career with two spells in charge of Mayo, leading Leitrim to a famous Connacht SFC crown in 1994 and guiding Galway to All-Ireland SFC victories in ’98 and 2001. It’s a notable coup for The Downs, who haven’t reached the Westmeath summit since 2005 and there will be much optimism that O’Mahony can lead them back to the promised land.